Niu Technology specializes in electric two-wheel mobility solutions for the urban commute while believing in making a difference as a sustainable lifestyle brand. The U1 scooter was specially designed for use in the city, providing a range of 70 kilometers on full charge, ideal for daily commuting. The NIU E-Scooter application allows users to be constantly connected with their scooter. 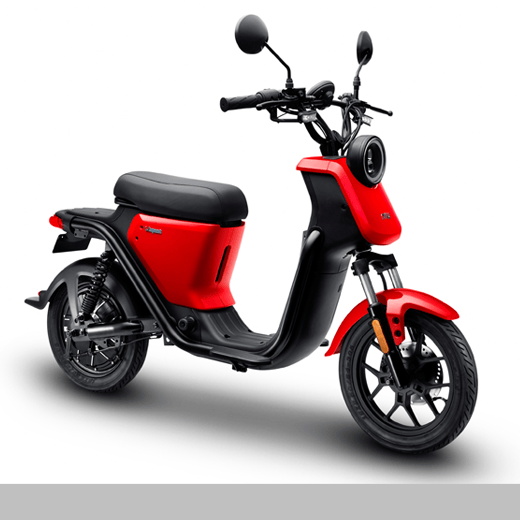 With integrated GPS tracking and diagnostics, the application alerts the user to the battery level, any malfunctions or when unauthorized movement of the scooter occurs. The U1 scooter is a practical vehicle with better carrying capacity, stronger theft-guard capability and a more pleasing aesthetic. Designed by: Token Hu of NIU Innovation Lab for Beijing Niu Technology Co., Ltd.